PowerScore LSAT Prep Review: Is PowerScore the LSAT Prep for You? PowerScore LSAT Prep is a great LSAT prep course for self-studiers. To help you determine if PowerScore is right for you, I’ll discuss its history, pros and cons, course packages, rating, and ideal candidates. 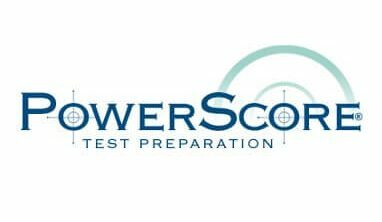 PowerScore is a test prep company that offers services for the LSAT, GRE, GMAT, SAT, and ACT. For law school hopefuls, PowerScore offers LSAT prep courses, private tutoring, self-study books, admissions consulting, and law school prep. PowerScore’s LSAT prep utilizes proven methods and strategies to approach the test. Students are taught the fundamentals of the test, are given strategies on how to apply those fundamentals, and practice to reinforce these acts into habits. The curriculum utilizes real, actual LSAT questions, and the instructors are at a similar level of quality compared to top competitors. PowerScore requires all instructors to score in the 97th percentile or higher on an official LSAT. For comparison, Kaplan requires an unofficial 90th percentile score for instructors, and Manhattan Prep requires official 99th percentile scores. But what PowerScore is most notable for is its PowerScore bibles. These test-prep books are top-tier self-study resources that have a proven history of providing a fundamental understanding of the LSAT. There are three bibles, one for each section. They are each designed to teach self-studying students the logical fundamentals of each section and how to apply them to the tests. Studying with the bibles combined with drilling timed sections and practice tests is a proven method of self-studying and one we have discussed in our cheapest article. The PowerScore course materials are notoriously effective and feature real LSAT questions. PowerScore’s advanced lessons are catered for high scoring students who don’t need to pay for courses that covered basic materials. PowerScore in-person classes are not available in all areas of the country. So, for many people, the online courses will be the best option. My experience with Powerscore’s online resources was with the on-demand online course, which is basically just a recorded version of the live course. The on-demand course is video and lecture based through a somewhat retro appearing format. The audio quality also leaves much to be desired, but that is not a huge issue for most people. The course starts with a brief overview of the test, then jumps straight into Logical Reasoning. Doing this makes sense since LR makes up 50% of the test. Also, the skills learned in LR will be greatly utilized in Logic Games and, to a somewhat lesser degree, in Reading Comprehension. To aid in logical reasoning, the course outlines the fundamental components of arguments. This first step builds the foundation for effective and efficient LR practice. It then moves into question types, starting with Must Be True questions. Again, this makes sense as MBT questions are the most plentiful and understanding the concepts they test will help students the most in this section as well as the other two. The on-demand Powerscore course follows a pattern for LR questions: it examines real LR questions, talks through how to answer them, then moves onto similar questions. This is a highly effective teaching method, and the course continues to utilize it for the next sections as well. Overall, I found the information given in the Powerscore On-Demand Online course to be quality and effective. However, I was disappointed with the lack of interactivity between the course and students, as well as the disappointing technology the course is displayed through. This course will be effective for students looking to build a strong foundational base, and even for reaching into the 160s score ranges. Combined with the included comprehensive course books, this is a very effective program. Having used this course, I give it 4.5 out of 5 stars. PowerScore offers effective online and in-person prep classes for the LSAT. These can be utilized by anyone looking to build a fundamental understanding of the test such as students who have not begun studying or who are still testing at low score ranges. In addition, the PowerScore bibles are the perfect resources for anyone who is self-studying for this test. Simply going through these three books oftentimes builds a strong enough understanding of the LSAT to move onto drilling timed sections and PTs afterward. Also, PowerScore offers advanced lessons in Logic Games and Logical Reasoning, that can be useful for students further along in their studies or who scored high on their cold diagnostic. These courses can help break score plateaus and help students who just need help in one specific section.